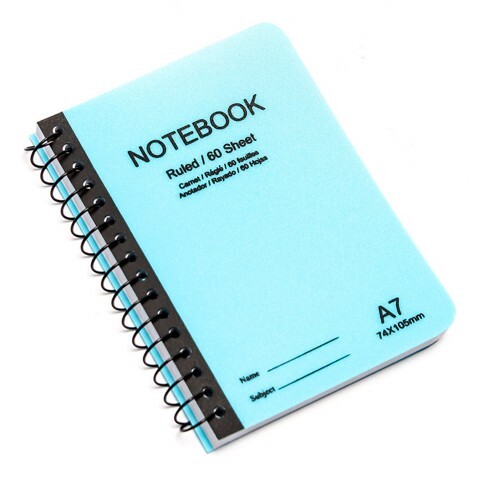 Note Book Spiral 120Pgs A7. 75 x 107mm Cover. Red | Blue . 60gsm Paper | 0.6 mm PP Cover | Bleached Virgin Paper. 67G Packaging: Bulk Pack.